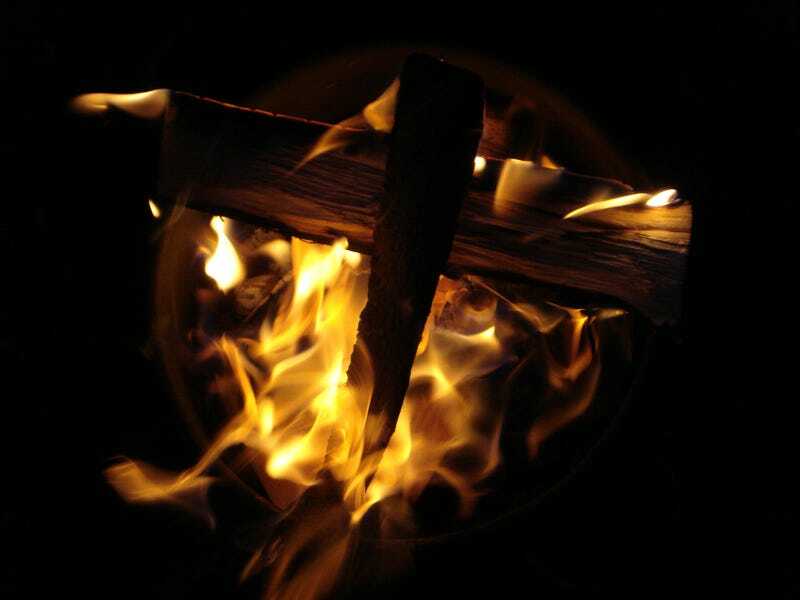 Pastor Bill Burton of the St. Thomas African Methodist Episcopal Church, a historically black church in Alto, Texas, is convinced that a burned cross found near his church was the result of a hate crime, although local authorities are hesitant to label it as anything more than vandalism, CBS19 reports. According to the news station, it was Burton who discovered the cross, constructed of four tree limbs laid on the ground, and he instantly recalled a darker time in the nation’s history. Cherokee County Chief James Campbell acknowledged that the tree limbs were put together to look like a cross, but added to the news station that it didn’t appear as if they were used to burn down the church. A water line to the church also appeared to be busted, and a rock was used to break one of the windows. However, the sheriff’s office did not rush to label the incident a hate crime, saying that the crime didn’t appear to be what it seemed to be. St. Thomas has been around for more than 100 years and has never had to deal with an incident quite like this. However, despite what authorities may think, Burton said he remains unmoved in his opinion. “The reality is, the truth of the facts speak for itself; when you burn a cross on church grounds, that speaks to itself,” Burton said.